What is the EIS and why should I consider it? The Enterprise Investment Scheme (EIS) is a government created and administered scheme that provides start-ups and SMEs with growth capital at a stage in their development when they are often faced with a ‘finance gap’, as a result of which they can struggle to obtain the funding they need to expand or further develop their products and services. EIS, and its start-up-focused counterpart the Seed EIS (SEIS), have been created to help businesses bridge that gap through equity investment. The investment is provided by UK taxpayers –i.e. private individuals. In exchange for investing in relatively high-risk small companies, the UK government provides investors with a set of generous tax reliefs to help mitigate some of the risks and enhance the potential returns. In terms of ‘why’, the reason is that if your company needs external capital to help it grow, and could benefit from additional support and advice from skilled professional investors, entrepreneurs and experts to achieve its goals, then EIS and SEIS could provide these things. How do I obtain EIS funding? To obtain funding, you should first try to check as far as possible whether your company is eligible to do so – the HMRC guidelines will help. 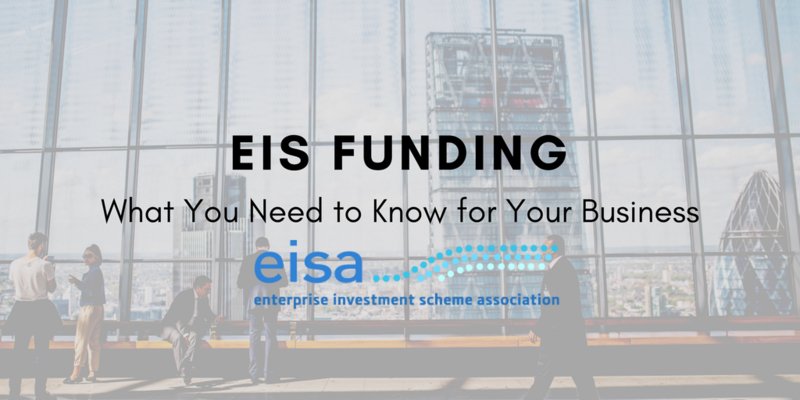 The EIS Association has also produced a guide to help businesses obtain EIS and SEIS funding, which can be downloaded from our website and helps to explain a wide of aspects of seeking and receiving EIS and SEIS funding. How much funding could I get? The maximum any company can raise under Seed EIS is £150,000. The maximum that a company can raise under EIS is £12m, or £20m if it is classed as ‘knowledge intensive’ by HMRC, which generally means a company with high research and development costs. Which businesses are not suitable for investment? Certain businesses are excluded from raising funds via EIS and SEIS, as mentioned above. Others may be eligible but not necessarily suitable. To be suitable, a business must be ‘investable’, which is to say that it has genuinely significant growth potential that is likely to translate into a meaningful return for those who provide the investment, if the business is ultimately successful. How do I make my business investment ready? Are there any downsides I need to be aware of? There are no specific downsides, though EIS and SEIS are equity investments, so to receive funding business owners must give up equity in their company. If you are a business owner, you should think about how much you are prepared to give away in return for the investment you think you need. And you should also be prepared to be flexible on this point – professional investors will calculate a likely range of returns from investing in your business and they will only provide funding on the basis of achieving these returns. Some degree of negotiation is therefore inevitable. Remember too, that what you give up in equity, you not only exchange for funding but also direct support from a team of highly experienced and motivated professionals whose goal is to make your business achieve its growth potential. This is one of the reasons for EISs’ and SEISs’ success to date and continuing popularity with SMEs - the involvement of experienced investors, entrepreneurs and businesspeople who invest via the schemes and provide additional support, advice, guidance, and even day-to-day operational involvement because they have a direct stake in making sure their investment – i.e. your company - succeeds. Meet EISA and other business service providers, as well as a broad spectrum of funders and other entrepreneurs, at the Business Funding Show 2018, an all-day event on 22nd February at London’s East Wintergarden. Learn more and secure your ticket at bfsexpo.com.